Ada soalan mengenai Patatran Village Hotel? Dibina pada 1992, Patatran Village Hotel merupakan tambahan menarik di Kepulauan Seychelles dan satu pilihan bijak bagi para pelawat. Dari sini, tetamu boleh menikmati semua kemudahan yang bandar ini tawarkan. Penginapan ini berada di sekitar kawasan tarikan bandar yang popular seperti Kelab Safari, Feri Inter Island, Mason's Travel. Menawarkan tetamu perkhidmatan yang unggul dan pelbagai kemudahan, Patatran Village Hotel komited untuk memastikan penginapan anda berada di tahap seberapa selesa yang mungkin. Wi-Fi percuma semua bilik, pengemasan harian, sewa Wi-Fi mudah alih, simpanan bagasi, Wi-Fi di tempat awam merupakan beberapa kemudahan yang membezakan Patatran Village Hotel daripada hotel-hotel lain di bandar. Suasana Patatran Village Hotel terpancar di dalam setiap bilik tetamu. televisyen skrin rata, internet wayarles (percuma), bilik larangan merokok, penyaman udara, panggilan kejut hanyalah sebahagian daripada kemudahan yang boleh didapati di hotel tersebut. Pantai peribadi, kolam renang terbuka, memancing, kolam renang (kanak-kanak), taman di hotel merupakan tempat yang ideal untuk anda relaks dan tenangkan diri selepas hari yang sibuk. Patatran Village Hotel merupakan tempat yang ideal bagi penginapan pelancong yang mencari keindahan, keselesaan dan kemudahan di Kepulauan Seychelles. Apabila menempah suite Bulan madu, sebotol wain, hiasan bilik khas dan makan malam romantis untuk dua di pantai akan ditawarkan. Majlis makan malam itu akan tertakluk kepada keadaan cuaca. very competent and friendly staff, attentive, amiable, a wide choice of fresh fruits, comprehensive buffet and a la carte, fine creole citchen. Pro: The welcoming staff made our stay extraordinary. 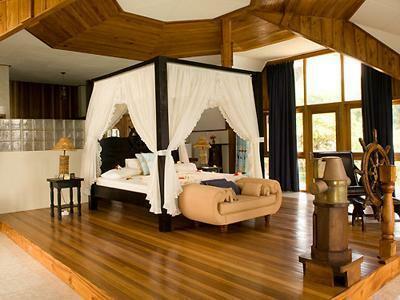 The luxurious and spacious honeymoon-villa with a breathtaking view. The Location next to the beautiful Patates Beach. 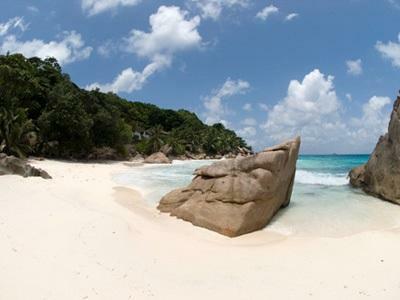 Contra: The beaches on la digue look good, but aint good for swimming. Everything is great ! except breakfast. it should be more and detailed. Very bad and old room. Very good location. Very much enjoyed the stay with my mother. Despite this being peak period, the staff went out of their way to make us feel welcome and cared for. Delicious seafood buffet. Quiet, beautiful location. Definitely recommend. very bad : we were relocated to the Hotel next door which was awful. We paid the price for the Patatran Hotel and we ended up to a much lower quality service hotel without any compensations. Excellent stay (4 days) at Family Room at Patatran Village - quiet hotel on wonderful location, with great views of Sister Islands, Coco Island and Praslin. Rooms are adequate, with good A/C and good-quality bedding - though some minor fixes would help (e.g., curtains fully let sunlight through in morning). Very friendly staff, all with really great service attitude (much better than many other places in the Seychelles, incl. v expensive ones). Food quality is good, just choice is limited, and sometimes a bit awkward (e.g., Spaghetti Carbonara as one of the breakfast options). Creole buffet was excellent - quality, and value. Would suggest hotel could improve presentation easily, esp for breakfast (e.g., put cheese on ice to avoid total meltdown in heat). Pool is lovely, with great views. Comfortable sunbeds, always enough - and just a few stairs down to the lovely, small and nearly private beach where it's great to play in the waves, or snorkel when the sea is quiet. All in all a great place to stay if you seek comfort, a wonderful location and friendly people - not luxury. Highly recommend to cycle to "Chez Jules" 10 min along the road on Anse Banane - great excursion, lovely food and giant turtle roaming around. It was our first experience in 2star hotel, but we were fully satisfied. I guess this hotel has only one serious disadvantage - wifi for charge. Other things are great! Patatran village it's most amazing beach on Seychelles islands I guess. So, thank you Patatran! Denis and Ksenia from Russia. Nice view, private beach and swimming pool. My check out time was 10:00 am but hotel staff already enter my room during we out for breakfast to prepare for next guest. It was nice, and very silent at night, beach is just in front of the villa, you can see the famous rock island from you room. Perfect location, breathtaking view, wonderful sea, great for snorkeling. The hotel and the rooms are a little older but ok.
Way to expansive for what you get, we stayed at a superior room, the room was ok. However our terrace was never properly cleaned. Service o the Hotel was really poor, no warm welcoming feeling during our entire stay. breakfast was average, at 9.30 Sharp its over. The beach is beautiful ! I cannot recommend this hotel for what you have to pay. Veery nice location but some rooms need immediately renovation. 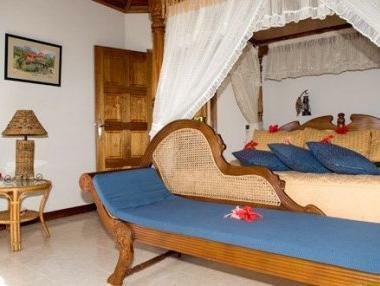 For example superior rooms like 'Orchide' where we stayed. The bathroom is sooo old, the furniture is ages ago old.. offcourse we did not stay too much in the room but this could leave you a bitter taste on your vacation and make you not too confortable when preparing for the night.also the shower presure too low. Everything was just perfect!we had a nice room "Kazou" with a stunning view from the balcony and bed. big bathroom with double shower, very convenient!the staff allover was so friendly and helpful all the time and just so nice!We did not want to leave!the restaurant had a great view at the swimming pool and the sea behind!nice atmosphere!the breakfast buffet was great with lots to choose from and always very fresh!Also the diner was very nice with buffet or served.the location is so nice just at the sea with big waves rolling to the rocks, nice beach and nice daybeds close to the beach!We would go back there! 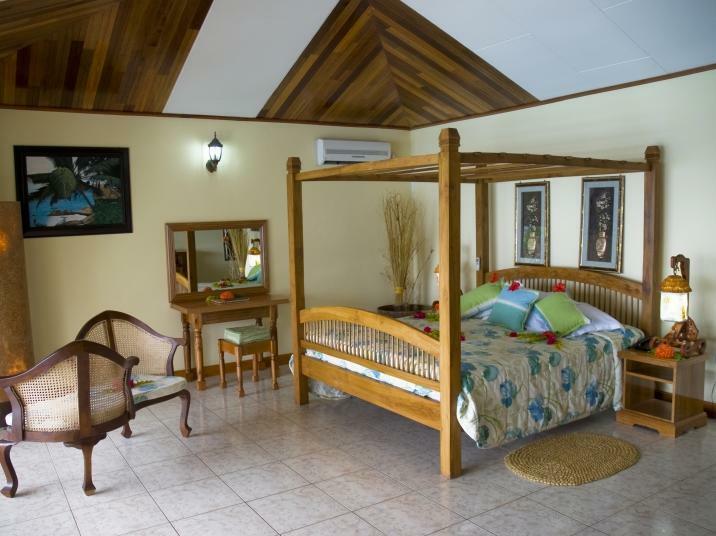 Patatran was a very convenient place to stay in La Digue. 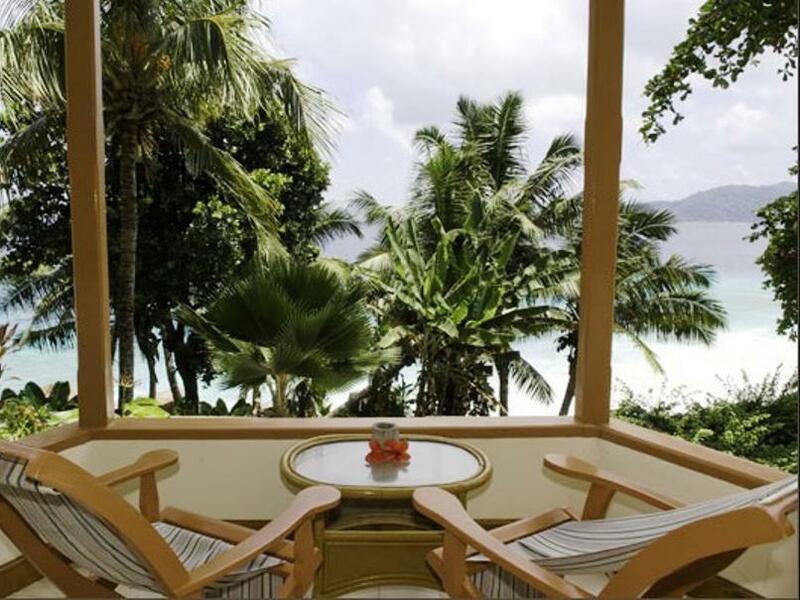 This nice hotel is placed on the most beautiful spot of the beautiful La Digue island. 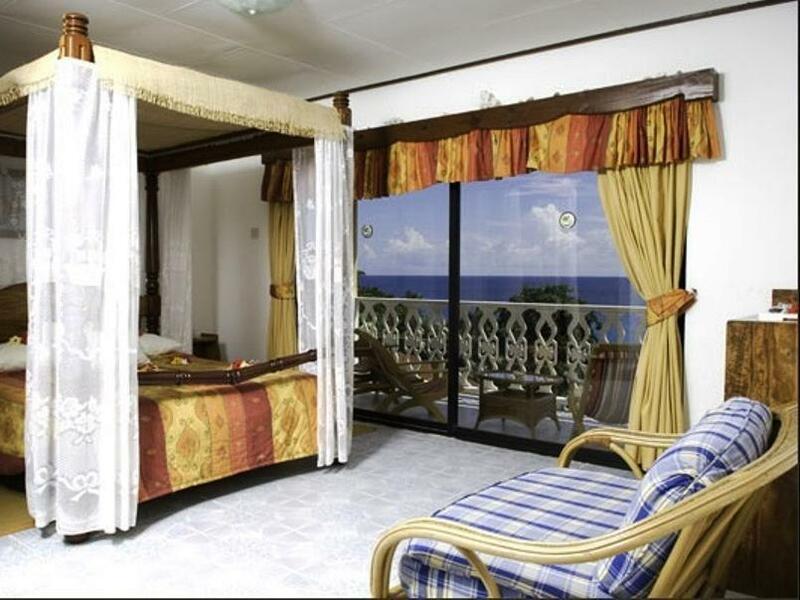 Our wonderful room Cocotier was big, cosy and located direct over the ocean with the most amazing view. Majority of the staff was very friendly and helpful. We where especially happy how nicely they took into consideration the holiday was a special holiday for us. Already on the way to the hotel from the jetty you see the stunning beauty of the island, and when reaching the hotel it is only getting better. We had dinner once at the hotel, the food was rather OK, but nothing very special why we ate elsewhere the other nights. The breakfast was good and had a nice choice. Anyway the best in the restaurant was the two great waiters from Nepal. Extremly helpful, nice, friendly and efficient. There are for Seychelles good snorkelling on the right side from the hotel, with a nice amount of species under the water.The only things that the hotel could improve is the sun umbrellas and the sun beds, there are only a few and they are in bad condition. Hotel has the wonderful, but small beach. Unfortunately this was rather often invaded by noisy groups of travellers bicycling here from their inland, selfcatering accomondations. If possible it would be good to restrict it for only hotel guests. Otherwise there are beautiful beaches nearby when you want a change. We had a wonderful stay and if travelling back to La Digue we would for sure choose Patatran again.